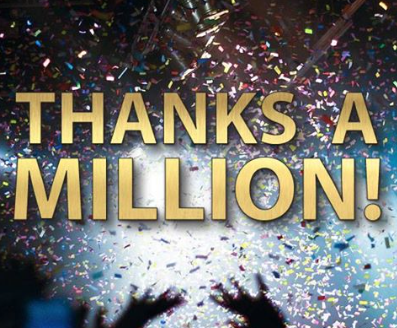 Home » Blog » A Heart-Pumping $1,090,000! 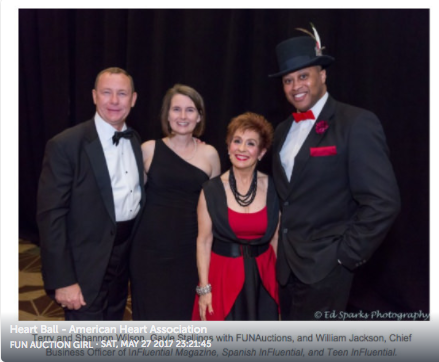 What a thrilling night on May 12, 2017 at the 20th Annual Heart Ball, presented by St. David’s Healthcare, raising over $1 million dollars benefiting the American Heart Association – Austin. 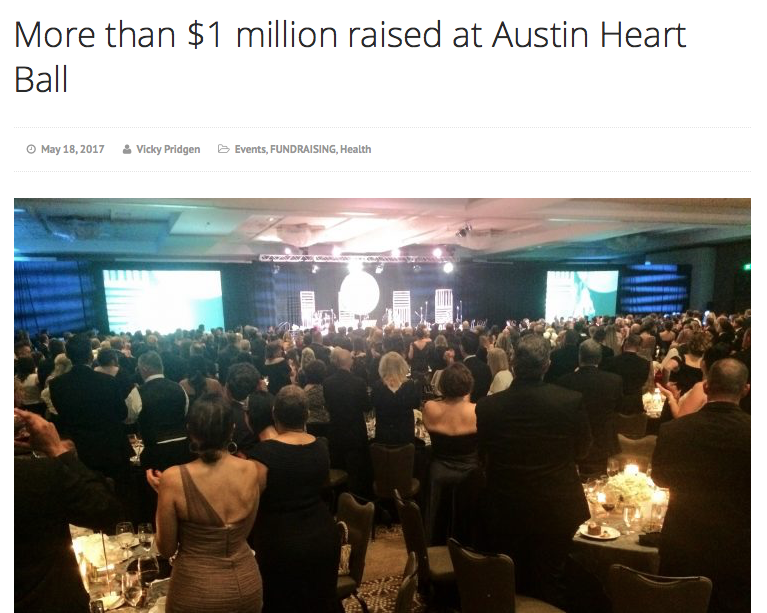 The headline below says it all…Thanks Monica Maldonado Williams and GivingCity Austin for capturing the heart of the night in this article #OpenYourHeart #ATXHeart Ball. 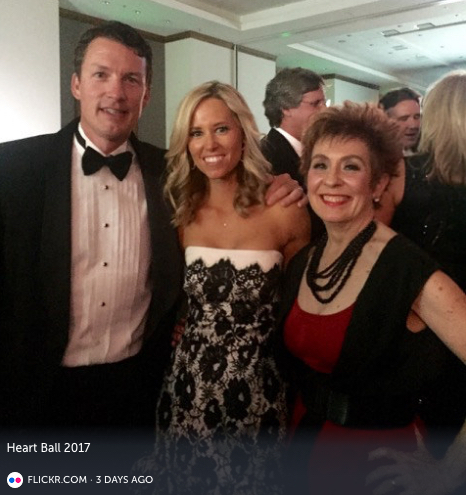 Thanks to InFluential Magazine for this article about the huge hearts at the 20th Annual Heart Ball raising a record-breaking $1,090,000 for the American Heart Association – Austin. Yours truly and publisher William Jackson were over the top with joy (and the color red!) at this fabulous event presented by St. David’s Healthcare. 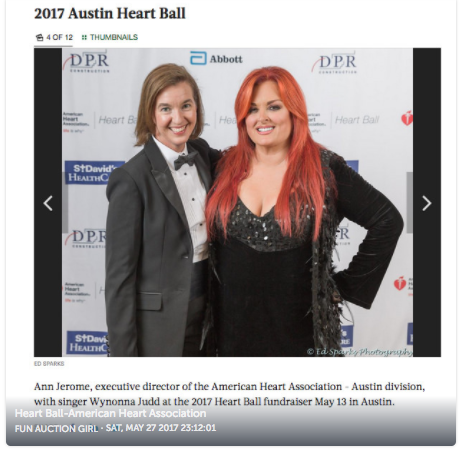 “Austin Heart Ball breaks attendance, donation records — and rocks with Wynonna Judd.” — Austin Business Journal. 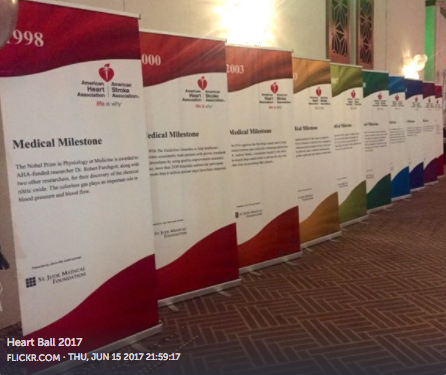 20 years of medical milestones reminds supporters of the important research, technology and programs of the American Heart Association. 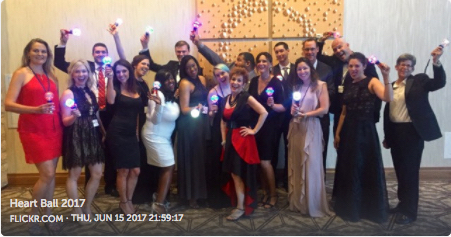 The bid spotter team gets a little silly before the live auction and then got serious about having fun and raised some big dollars in the ballroom at the JW Marriott Austin filled with 700 attendees. Open Your Heart speaker David Mebane with wife Kelly, shared the story about his heart attack at age 39. The five drug-coated stents David has were not even on the market 20 years ago. We can thank the research and funding by the American Heart Association for this life-saving discovery. Paddles Up because it’s time to Open Your Heart! 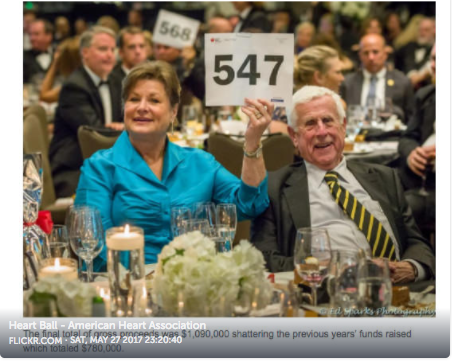 The FUNauctions team had an exciting time capturing all the generous donations that totaled more than a million dollar night for the American Heart Association – Austin. Million dollar smiles come naturally while celebrating this special evening. “Gayle, you bring so much pizzazz to our event! Your ideas, tenacity and determination played such a big part in this record-breaking year. This success could not have been possible without you. 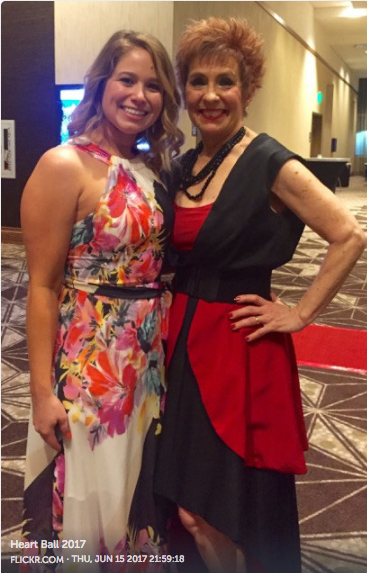 Looking forward to next year.” — Catherine Bruni, Associate Director, Austin Heart Ball. 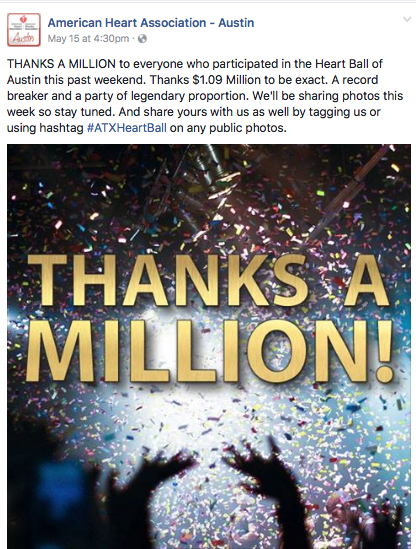 Honored to return on the Heart Ball team for year #3 and to have even more FUN by exceeding the American Heart Association – Austin’s million-dollar goal! 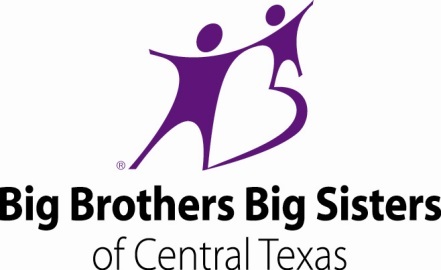 #teamwork #generosity #fundraising #FUNauctions #$1,090,000! 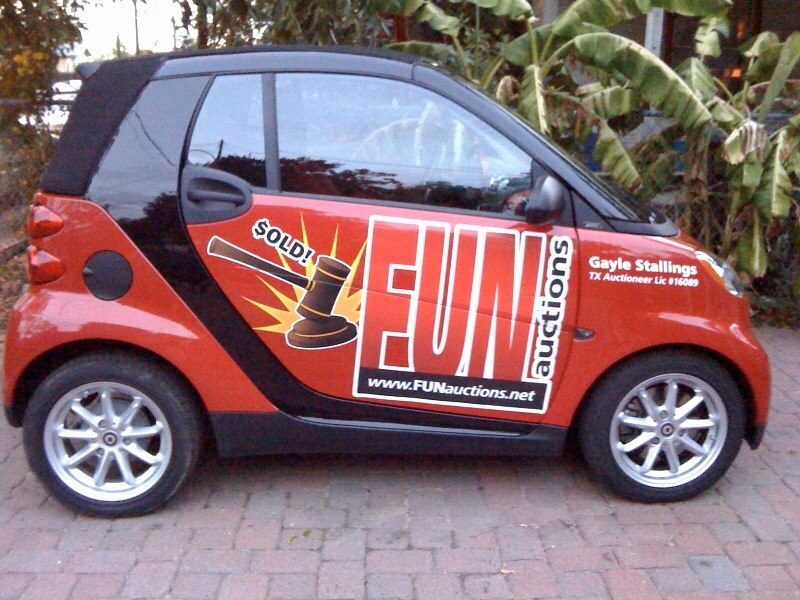 Images from highlighted news and social media outlets and FUNauctions, LLC.